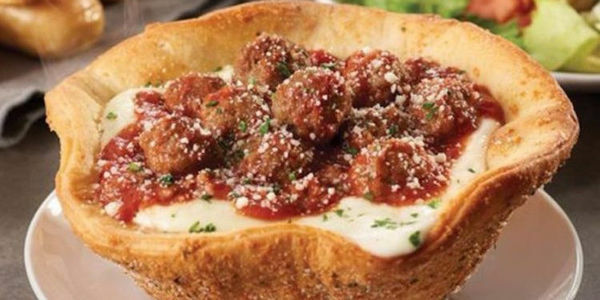 petition: Olive Garden: We Demand the Meatball Pizza Bowl! Olive Garden: We Demand the Meatball Pizza Bowl! Catherine wanted the Meatball Pizza Bowl from Olive Garden and was disappointed and disgusted to learn that it is only available for lunch on Monday through Friday. We demand that this culinary masterpiece be available on ALL days of the week and for dinner too.